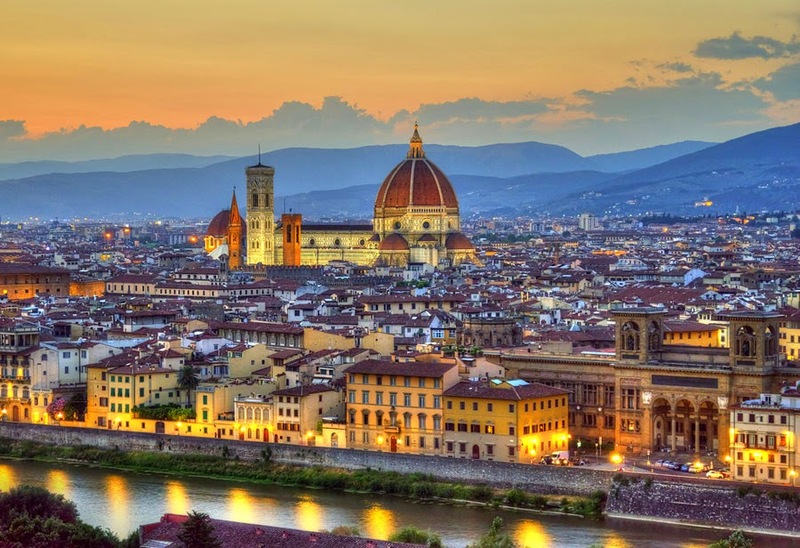 Maria del Fiore, the cathedral in Florence (the Duomo), allegedly made it. The rest of the story is that Filippo Brunelleschi, in order to get more work done, had the dish sent up to the workers instead of allowing them to come down for lunch. It wasn't long before the workers realized that they were losing their lunch break and a chance to meet friends, play cards, and relax. The first strike in Florence resulted! The pepper in the stew requires lots of wine to be drunk. Here's to happy workers...and cooks! Cut the beef into large chunks, along the natural muscle separations where possible. Lay the beef chunks into the bottom of a terracotta pot and insert the garlic cloves interspersed among the beef chunks here and there. Sprinkle the whole peppercorns and salt over everything. Pour over enough red wine to cover the beef. 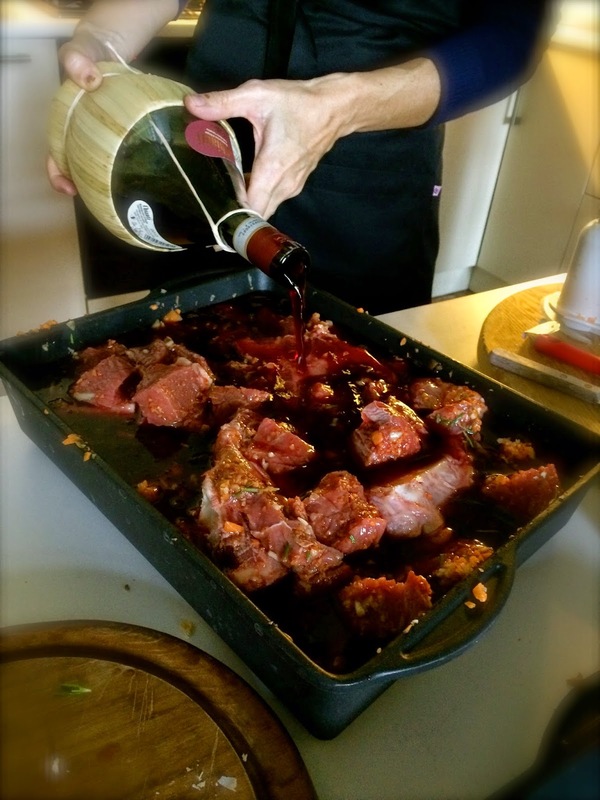 Cover the pot and place in a slow oven (160C/324F) for 4 hours or more, until the beef is falling apart tender and the red wine has reduced into a rich sauce. If the dish is still too liquid and you're ready to eat, remove the cover, which will allow it to reduce more quickly. Although unconventional, just before serving you can also add a spoonful or two of potato starch mixed with an equal amount of water to give the sauce some liaison.